Looking down Las Vegas strip with the St Mark's Campanile of the Venecian Casino and Hotel to the left, Nevada, USA. Famous tourist attraction at twilight, looking down the Las Vegas (Sin City) Strip, with several hotels and casinos. 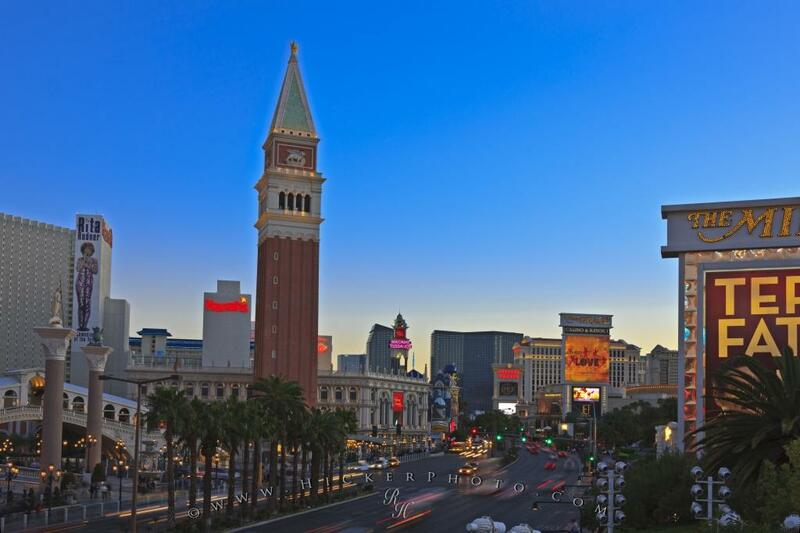 Mainly featured is St Mark's Campanile of the Venetian Hotel and Casino, Las Vegas, Nevada, USA. Photo of the Las Vegas Strip at twilight with the Venetian Casino and Hotel to the left, Nevada.